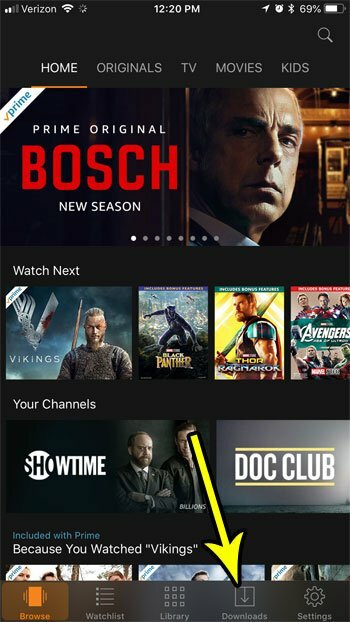 The ability to download videos in the Prime Video app is one of the best features for frequent flyers and individuals that live in areas with poor cellular reception. While streaming video has made movies and TV shows much more accessible, that does require you to have a persistent, stable Internet connection if you want to take advantage of it. The download option offers a helpful way to plan ahead if you know that you will want to watch something, but know that Internet speed could be a problem. But once you have finished watching that downloaded movie, it’s taking up a lot of the limited hard drive space that you have on your iPhone. 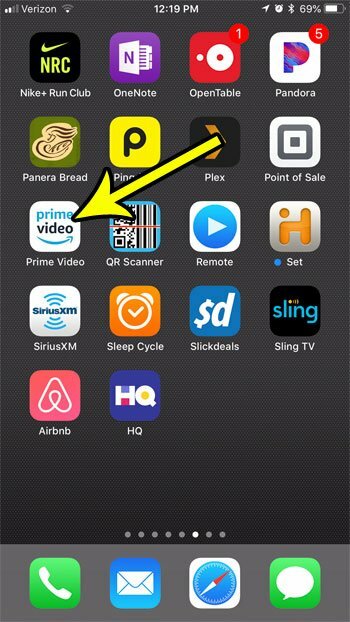 Our tutorial below will show you how to delete a downloaded video int he Amazon Prime Video app on your iPhone so that you can use that storage space for something else. The steps in this article were performed on an iPhone 7 Plus in iOS 11.3. 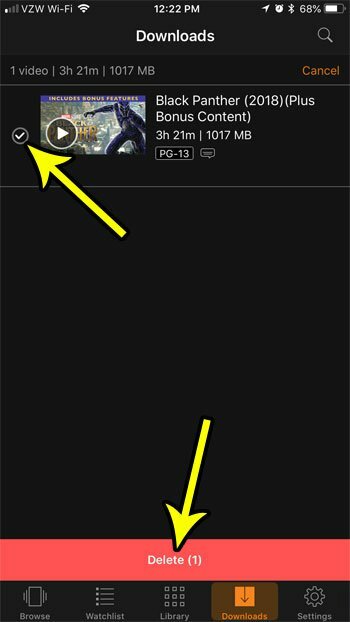 The steps in this guide assume that you have previously downloaded a file in the Prime Video app, and that you are now ready to delete it. You can still download this file again in the future if you wish, assuming that you still have the rights for the video file at that time. Step 2: Touch the Downloads tab at the bottom of the screen. 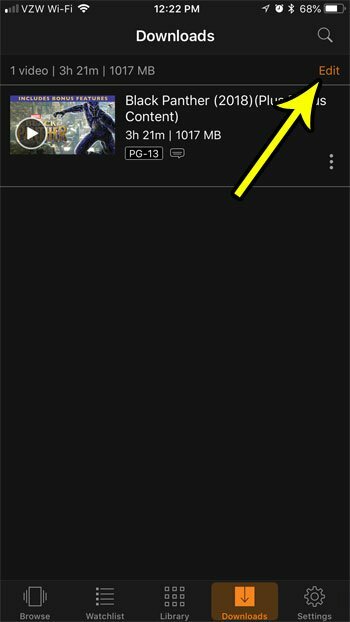 Step 4: Tap the circle to the left of the video file that you want to delete, then touch the Delete button at the bottom of the screen. If you are going through your apps and deleting files to make room for new things, then there are a lot of different ways to do so. Check out our guide to clearing iPhone storage and see some of the different ways that you can make room for more apps and files on your iPhone.